Cloud storage, Dropbox … who access your information ? 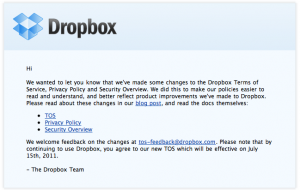 | It-11 Audio / Tonegeek"
Cloud storage, Dropbox … who access your information ? Just received this kind of mail ? And an interesting article there : Dropbox, cloud storage, and who owns your files ? This entry was posted in What's up, doc ? 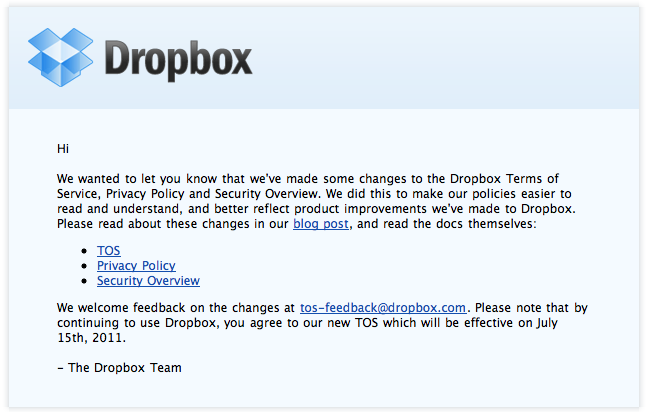 and tagged cloud, dropbox, privacy, tos. Bookmark the permalink.